He led the Mountaineers to six straight NCAA tournament berths and one finals appearance. Before that he played in the NBA for two teams, including the New York Knicks.RIP. Fred Schaus, a former Los Angeles Lakers coach and general manager who mentored Jerry West and Hot Rod Hundley at West Virginia, has died. He was 84. The former West Virginia University coach and athletic director died Wednesday night in Morgantown, said Dan Hastings, a funeral director at Hastings Funeral Home in Morgantown. Schaus had been living in a nursing home. The cause of death wasn’t immediately released. “Fred’s passing brings finality to a relationship that began in 1955, when he first came to our house to introduce himself as the coach of West Virginia University,” West said in a statement released by the school. A Cabin Creek native, West recalled Schaus telling him WVU would be the place for him to attend school and have an opportunity to play basketball. Born in Newark, Ohio, Schaus became the first Mountaineers player to score 1,000 career points. He was the No. 1 overall pick in the NBA draft and played five seasons with the Fort Wayne Pistons and New York Knicks. He compiled a 127-26 record as head coach at West Virginia from 1954 to 1960, including six straight NCAA tournament berths. The Mountaineers, led by West, advanced to the NCAA championship game in 1959, losing to California 71-70. 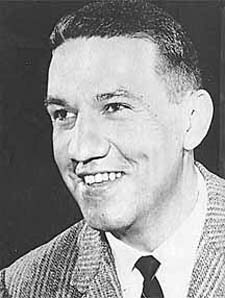 Schaus followed West to the Lakers, going 315-245 in seven seasons as head coach and guiding the team to four NBA finals before becoming general manager in 1967. The 1972 Lakers, behind West and Wilt Chamberlain, won a then-record 69 games in the regular season and beat the Knicks for the NBA title. Schaus returned to the college ranks in 1972, going 105-59 in six seasons as head coach at Purdue. He also served as athletic director at West Virginia from 1981-89 before he retired. Schaus was inducted into his alma mater’s athletics hall of fame in 1992. I’m sorry to here about this great coach. Its guys like this that motivate me to play sports in college. I’ve been looking to go to college at http://www.reviewaschool.com and some others that offer well rounded sports programs.